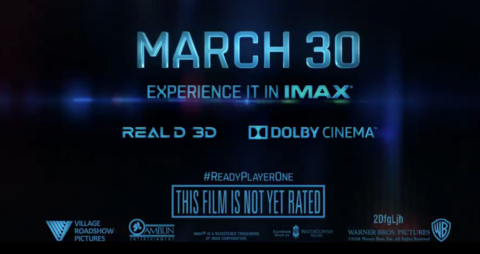 The Ready Player One ARG was a promotional ARG linked to the release of the movie Ready Player One. The movie itself is an adaptation of Ernest Cline's novel, of the same name. The story takes place in the near future, where a virtual world called the OASIS has risen to prevalence in society. 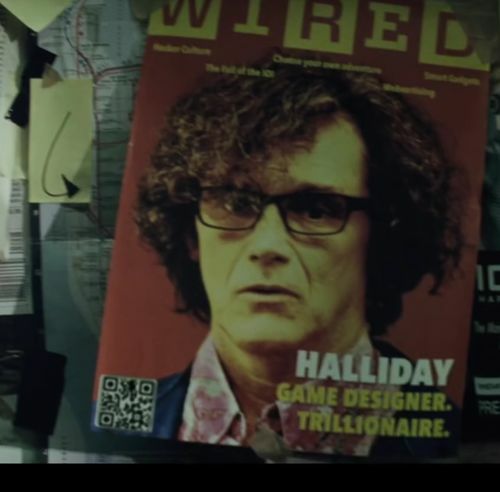 When James Halliday, the creator of the OASIS, dies, he leaves his entire fortune to whomever can discover the Easter egg he has hidden within the OASIS. Ready Player One follows those who choose to search for this Easter egg. Ready Player One is set to release on March 30, 2018. On December 10, 2017, the first official trailer for Ready Player One was released. These jumbled letters are an anagram for GUNTERS SAY, which is the first half of a password for the main Join the Quest site. On the same day the trailer was released, a Reddit account named HallidaysGhost posted this image to the Ready Player One subreddit. These jumbled letters are an anagram for NEVER DIE!, which is the second half of a password for the main Join the Quest site. The two anagrams were combined to form the passphrase GUNTERS NEVER SAY DIE!, which was a valid passphrase for the main Join the Quest site. Submitting the passphrase led to this video, titled Are You Ready? The video prominently displays imagery of an egg, in reference to the concept of an Easter egg. Throughout the video, each of the words WHAT IS THE QUEST briefly appear. After the video has completed, an animation of a rotating egg is displayed on the Join the Quest site. On January 22, 2018, six Halliday's Ghost social media accounts each posted an image depicting an 80s movie character in ASCII art. All the posts, apart from the Twitter and Instagram posts, were titled or captioned "SEE THE FUTURE". The bottom-right corner of each image contained a coloured rectangle. The reddit post showed the gopher from Caddyshack. Its corner was lime green. The Imgur post depicted a critter from Critters and had a purple corner. The Instagram post portrayed Audrey II from Little Shop of Horrors and had a red corner, but no caption. The Facebook post depicted Bubo from Clash of the Titans and also had a lime green corner. The Tumblr post showed Gizmo from Gremlins and had a light-blue corner. This led to a bit.ly address, which redirected to http://www.jointhequest.io/acapella/, which had an embedded, unlisted video on the Halliday's Ghost channel. The video contained a series of black squares with coloured boxes and flashes. When the frames from the video are overlaid on the social media images with the same colour in the corner, they highlight letters. Once unscrambled, the message "NEVER FEED A GUNTER AFTER MIDNIGHT" was revealed. At the same time, http://www.jointhequest.io/ was also updated with a "Grail Diary" of images and videos relating to the film and the ARG. It also had a password box, and entering the message from the Acapella video unlocked the "See the Future" trailer. This password box was later removed and the trailer added to the site for all to view. On February 13, 2018 at 2:04 PM UTC, Halliday's Ghost posted a new tweet suggesting that the next puzzle would be Joust-related. Shortly thereafter, the Joust logo was added to jointhequest, and when Sorrotto's IOI ID number is entered into the password field, an option to play Joust appears. The game appears to be a fully functioning Joust ROM. No official announcement of the winners or what the prizes would be for this contest. As a possible spin-off warner bros released this video as a follow-up. 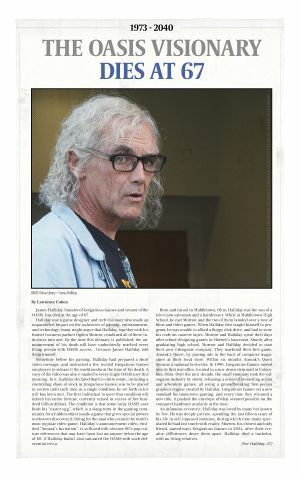 This page was last edited on 9 December 2018, at 02:29.